A consortium of the Indian companies ONGC Videsh, GAIL, and Petronet LNG is eyeing a 15% stake in Novatek’s giant Yamal project, according to Indian press reports. Experts note that for the Russian firm, this is a guarantee that it will be able to market liquefied natural gas from Yamal. The Hindustan Times reported the Indian companies’ plans citing its own sources. This is the first report of a foreign bid for a stake in Yamal LNG, which will be the operator of a future LNG plant in Yamal. According to he newspaper, ONGC Videsh, GAIL, and Petronet LNG have expressed interest in a 15% stake in the project; they have reviewed Novatek’s materials and are preparing a non-binding indicative bid. While Novatek has indicated the project cost to be $16 billion, the consortium’s consultants have worked out the capex for upstream development and the LNG liquefaction plant as $30 billion. The Indians are ready to invest 155 billion rupees (c. $3.4 billion) in exchange for the 15% stake, The Hindustan Times wrote. Novatek has confirmed that it had received a bid for a stake in Yamal LNG from a consortium of three Indian companies; negotiations are underway, a Novatek spokesman said. He stated that it was still too early to discuss the details, but added that the Indian companies were working on their bid “in a rather professional manner.” GAIL was unavailable for comment, while ONGC Videsh and Petronet LNG didn’t reply to Vedomosti's request for information over the weekend. Until recently, Novatek had disclosed only two of its project’s guidelines: the plant’s capacity will be 16.5 million tonnes per annum and the first delivery of LNG from Yamal is expected by 2016. 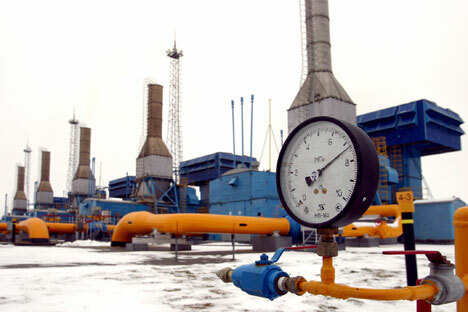 However, the government programme for Yamal’s development put the preliminary project cost at 858.2 billion roubles in 2010 prices; or at 594 billion roubles ($21 billion at the current exchange rate) minus the costs of a tanker fleet and transport infrastructure, which are expected to be borne by the state and state-owned companies. Key asset: A license to the giant South Tambeyskoye field valid until 2045, with 1.256 trillion cubic metres of natural gas reserves and 51.58 million tonnes of condensate (АВС1 + С2; at the end of 2009). Novatek now owns 51% of Yamal LNG; the company plans to buy out the remaining 49% by the middle of 2012 (see sidebar) to resell to foreign companies that will become their partners in the project. A Novatek co-owner, France’s Total, has been promised the single largest stake of 20%: both companies signed a memorandum last March and intend to close the deal by 1 July; no further details have been announced. When and who will receive the remaining 29% remains to be seen. Novatek CFO Mark Gyetvay said last March, however, that his company planned to select another two or three partners for the project. Novatek Executive Board Chairman Leonid Mikhelson has said before that all negotiations should be completed by the end of the year and that his company needed foreigners’ technology, “marketing capabilities,” i.e. sales guarantees, and lastly, finance. The Indian consortium would guarantee sales of approximately a third of Yamal’s LNG output, which is no less important for Novatek’s project than technology, Troika Dialog analyst Valery Nesterov pointed out. India is among the fastest growing markets along with mainland China (see inset). According to recent statements from GAIL, India’s LNG import potential is even higher than China’s. Furthermore, Petronet LNG, specifically established by an Indian government decree as an LNG importer, already owns a regasification terminal and a second one is being readied for launch in 2012; the state-controlled GAIL is the main gas trader within India, while ONGC Videsh is the operator of all international projects for India’s state-owned corporation ONGC (in Russia they hold a 20% stake in Sakhalin-1 and own 100% of Imperial Energy). Key owners: Executive Board Chairman Leonid Mikhelson (c. 25%), Gennady Timchenko (c. 22%), Total (12.09%), and Gazprom (9.99%). 2010 revenue (IFRS): 117 billion roubles, net profit: 40.3 billion roubles. The Indians stand a good chance of being invited to join the project, and their participation will increase the likelihood of Yamal LNG’s success, Nesterov believes. The Russian company will have a hard time trying to make it to the Indian market on its own, as Qatar, the world’s largest LNG producer and the main supplier of gas to India, has been keeping the prices quite low. Not to mention the existing projects for construction of gas pipelines to India from Iran and Turkmenistan, according to Nesterov. That said, even Australian companies whose LNG projects are considered to be the world’s most expensive (due to their high environmental compliance costs and tax burden) hope LNG prices in Asia will rise to an acceptable level by 2014–2015 as demand grows explosively.